Scottsdale Gun Trust Attorney. It’s most important to add a Gun trust to your current estate planning portfolio if; you own weapons that you plan to leave to friends or family members after your passing. Gun Trusts fall under estate planning and should only be executed by an estate planning attorney who has specific knowledge of gun trusts. Not all estate planning attorneys have knowledge of gun trusts. Due to the severe legal penalties that are involved if not properly executed; therefore, you should never attempt to set up a gun trust on your own. So, What Are Gun Trusts? A gun trust (also known as an NFA Trust) is a legal document that provides certain protections under the law and makes it easier for a firearms seller to avoid some of the burdensome Federal requirements that exist when transferring firearms to another person. Gun trusts are similar to other trusts as it relates to inheritance in an estate planning portfolio. A responsible person is appointed in a gun trust who will have the authority under the trust to; possess, acquire, ship, transport, deliver, transfer or dispose of a firearm on behalf of the deceased. Who Should Have a Gun Trust? Most gun owners have heard about gun trusts, but what are they and do you need one? Anyone who owns weapons should have a Gun Trust as part of their estate planning portfolio. A Gun Trust will help facilitate the legal transfer of firearms to a beneficiary after the death of the original owner. In addition, a Gun Trust can have multiple trustees and written to last for more than one generation, unlike a simple living trust. Gun Trusts take both State and Federal weapons laws into account. Are There Benefits to Having a Gun Trust? Yes, by having weapons in a trust it avoids the need for probate, after the death of the original weapons owner. Also, by having a Gun Trust the risk of a surviving family member inadvertently violating the law is greatly reduced; especially if any of the weapons in question are subject to State and Federal regulations. In addition, this includes any weapons that fall under Title II of the Gun Control Act of 1968. This Act is a revision of the NFA (National Firearms Act) of 1934. Some of the weapons that fall under the NFA include; machine guns, short-barreled rifles, short-barreled shotguns (including sawed-off shotguns), grenades, silencers, as well as several others. Because of the severe penalties for violating this law, hiring a qualified Gun Trust Attorney just makes sense. How Does the Gun Trust Process Work? The steps involved in order to create an NFA Trust (or, gun trust): First, identify the Grantor, Trustees, and Beneficiaries. The grantor creates the trust. The trustee manages the trust, and the beneficiaries receive the benefit of the trust. Second, complete Schedules A and B. Schedule A is the asset listing document. In Schedule B you designate either which specific piece of property goes to which Beneficiary or you designate that all property goes to a particular Beneficiary. Third, set up a bank account and tax EIN in the Trust name to ensure that all Title II purchases are realized through the Trust; and not through an unlicensed individual. Fourth, go to a Class III dealer to find and purchase a Title II weapon. Fifth, fill out the required Bureau of Alcohol, Tobacco, Firearms, and Explosives (“BATFE”) form. Sixth, mail in the tax payment fee along with completed BATFE form and a copy of your trust. Be sure to include the one-time two hundred dollar ($200.00) fee for each silencer, machine gun, short-barreled rifle or short-barreled shotgun. Seventh, wait for your paperwork to return approved to the Class III dealer – three to four months. Once the dealer receives the approved paperwork, he or she can transfer the Title II weapon to the trustee. Be sure to keep the certified BATFE form (with its tax stamp) with the Title II weapons at all times. Be sure that all Trustees have a copy with them when they are in possession of the Title II item. If you decide to sell the Title II item: Only a Class III dealer may sell a Title II weapon. If you decide to sell a Title II weapon, bring it to a Class III dealer for assistance. Who Can I Talk to About a Gun Trust? The best advice is to speak with a Scottsdale Gun Trust Attorney who is versed in Gun Trusts. But remember, not all Estate Planning Attorneys have experience in setting up Gun Trusts. Since this process involves knowledge of weapons; it is crucial to hire an Estate Planning Attorney who also has knowledge and experience in preparing Gun Trusts. At Mark E. Hall P.C., we have the knowledge and experience needed to prepare and execute legal Gun Trusts. 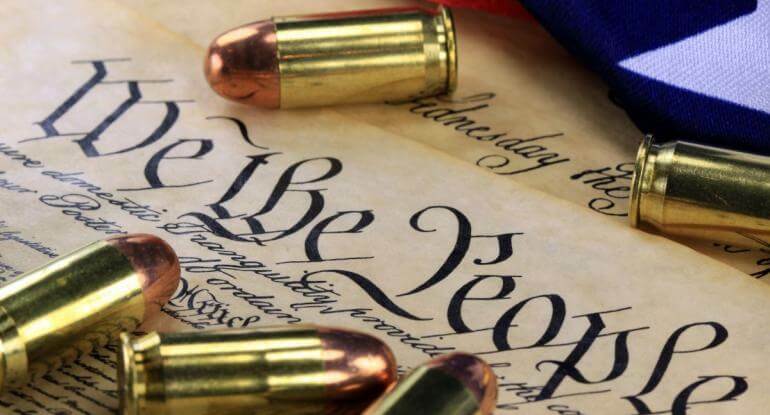 In addition, our Gun Trusts have the approval of the ATF and other Federal and State agencies; so you have the peace of mind knowing you are in compliance with all State and Federal Laws. Therefore, if you have questions about a Gun Trust and would like to know more, please call our law office and schedule a free consultation with an experienced Gun Trust Attorney. Find out what all the advantages of adding a Gun Trust to your estate planning portfolio can be.